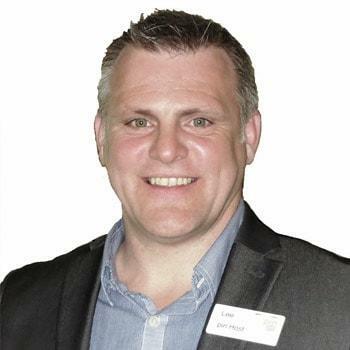 Hi, I'm Lee Beecham and I am really pleased to be hosting the Eastbourne property investors network meeting (pin), I bought my first investment property 26 years ago, although It has only been in recent years that I have really built on my property portfolio. I also run a successful ventilation company called G&L Ductwork LTD with my co director Gary (a lot of thought went into the company name !!). My passion has always been in property, so I thought what better way could I find to secure my retirement ? so 8 years ago I decided to find a property that would not only pay for itself, but actually give me an income ! I found a property that cash flowed £150 per month, brilliant I thought ! but since then, and using some of the strategies I have learnt from listening to various speakers, at the pin meetings that I have attended, that same property now cash flows over £1000 per month ! now that is brilliant. So I have come to realise the true VALUE of property, and decided to learn more, and get myself educated about property. I enrolled on the property investor Mastermind course, and since then I have bought 13 flats within 2 freehold blocks with none of my own money !!!! This is one of the reasons why, I wanted to host the Eastbourne pin meeting, to be able to connect with, work with, and share some of my learning with others. If you are able to come along to one of our meetings, you will find a very friendly and sharing environment, where there are 2 different speakers every month, who are chosen for their knowledge and expertise in their particular field, who will always add value to your knowledge. I hope to see you at the next Eastbourne pin meeting, (1st Wednesday of every month except August and December). If you have any questions or just want to talk, call me on 07786 037049.